Please email BuddhistEduFoundation@rogers.com to join the Buddha-Dharma Team. Our team captain Alice Lee will set you up as a team member on-line after you have registered with STWM2017. Oct. 14-15: There will be six panels and 18 speakers. Here is the Flyer (English). Oct. 15: Two of the six panels will be in Chinese. Here is the flyer (Chinese). These two community panels are open to public. http://www.torontowaterfrontmarathon.com/en/charity/befc.htm You may register for the event and set up a fundraising page to raise funds for us. 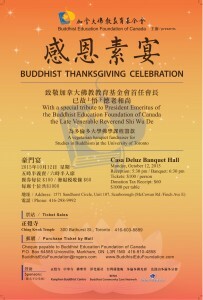 Please email BuddhistEduFoundation@rogers.com to join the Buddha-Dharma Team. Our team captain Alice Lee will set you up as a team member on-line after you have registered with STWM2016. Tickets: $100 per person; $1000 for a table of ten – tax deductible donation receipt of $60 per ticket will be issued. Sponsor our runners to help us reach our fundraising goal! 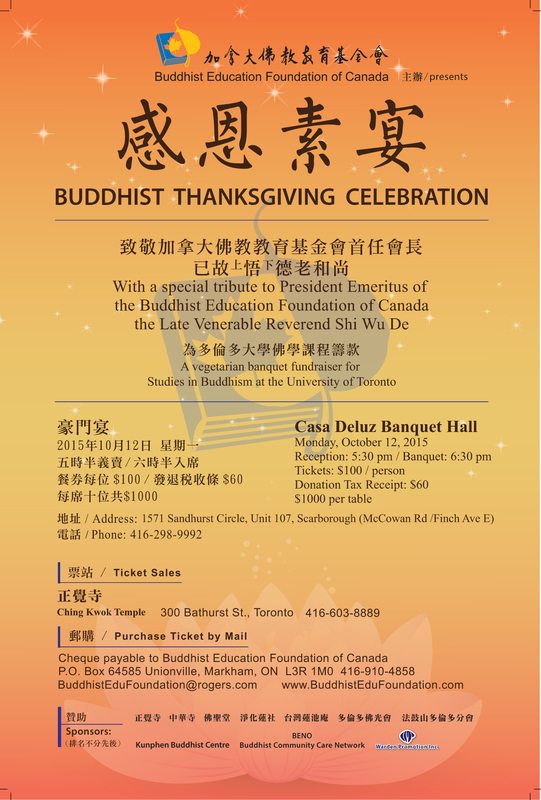 to support the Shi Wu De Scholarship and Fellowship Fund, courses and courses in Buddhism and community care at U of T & other Canadian universities. THANK YOU!